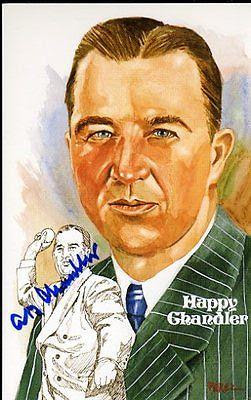 Happy Chandler served a long life in politics and earned a Cooperstown nod as MLB's second Commissioner of Baseball. As coda to Jackie Robinson Day this weekend, Wikipedia notes that Happy Chandler's "most significant action" as commissioner was approving Jackie's contract, officially allowing integration to proceed. 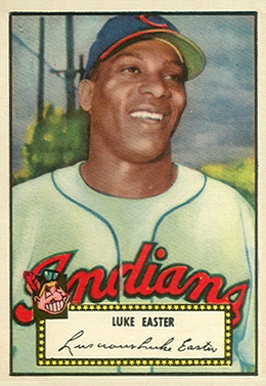 "As a player, Easter was best known for his powerful home runs, colloquially known as "Easter Eggs". While with the Grays in 1948, he became the first player to hit a home run into the center field bleachers at New York's Polo Grounds during game action, a section that was 475 feet from home plate. During his rookie season, he also hit the longest home run in the history of Cleveland's Municipal Stadium, a 477-foot blast over the auxiliary scoreboard in right field; the only other player to match that feat was Mickey Mantle, who did it in 1960. Finally, during his twilight days with the Bisons, he became the first player to hit a home run over the center field scoreboard at Buffalo's home park, Offermann Stadium, doing so twice in a month in 1957. When told by a fan one time that the fan had seen Easter's longest home run in person, Easter is reported to have replied, "If it came down, it wasn't my longest." Tip of the cap to Happy and Luke!